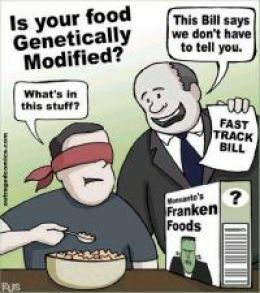 I've always looked at Genetically Modified foods with a wary eye. Also, the fact that the US GM seed market is dominated by a single company - Monsanto - makes me even more suspicious (the obligatory Wiki Link - http://en.wikipedia.org/wiki/Monsanto). It is well known that Monsanto spends tons of money lobbying the US Food and Drug Administration (US-FDA) to ensure legal status for GM foods and to guide American legislation such that GM foods remain legal and no adverse regulatory laws are passed against GM foods. Nowadays, every supermarket I've been to in the US keeps GM foods next to non-GM foods. There are no clear label markings mandated by law that would allow a consumer to distinguish between GM and non-GM foods at a glance. Consumers are forced to read fine print on labels to determine if GM products have been used in the food chain of the product they're buying. Then too, things are hampered by the fact that there is no clear way to determine if a long chemical-sounding-name is a natural, nature-identical or artificially created ingredient. Things have gotten so bad that while I was in the US, I heard of a case where a company using the term - "no GM foods used for feeding chicken" for marketing purposes was sued and asked to include a disclaimer that GM foods have not been proven to cause any harm whatsoever and that GM foods are safe for use. Extreme measures like these make me much more distrustful of companies promoting GM foods. By the way, here's a chart from Wikipedia that show's Monsanto's astronomical profits. These profits are generated year after year and are only growing as acres and acres of farmland come under GM crop cultivation. GM crops typically are modified so that they are not self-replicating due to concerns about wild, unchecked replication. Though introduced for the right reasons, this constraint has set up a monopolistic market, one that cannot be shut down very easily. The fault lies in the fact that since the crops cannot be propagated season after season from the seeds, the farmer needs to approach the company holding the patents to the GM crops every single year in order to plant his crop. Also, since the seeds are patented (and the Intellectual property is vigorously defended by lawsuits) and there is a very very long approval process for GM foods, there is huge bar for companies that intend to enter this space and the incumbent - Monsanto - enjoys a virtual monopoly in this space. Not only is this disruptive to the natural cycle of (free) seed generation used by farmers, in the Indian context, it is tantamount to handing the base of our agricultural pyramid to an American company (Monsanto controls 90% of the GM seed market in America). Right now, Indian farmers are responsible for the cost of vegetable production based on the cost of production, seed storage, fertilizer costs etc. The government controls market prices by setting a minimum support price (MSP) at which it will buy produce from farmers. Now, alter the situation and put an American corporation on the other side of the fence. Monsanto will have price control over the seeds that it supplies to farmers. Since there is virtually no cost to replicating seeds year after year (the R&D cost has probably been recouped by now), every rupee charged by the monopoly of Monsanto will go straight to its profit margins and to the bottom line cost of foodgrains in our country. As a corollary, our government (which procures over 50% of our foodgrains) will be paying farmers so that they can pass on some of the money to an MNC as the cost of seeds. Just imagine, every single man, woman and child in India will effectively be paying a food tax to an American corporation. This money will be money that will be leached from our country, just like the way the Britishers leached money through their Manchester Cotton mills while using raw cotton from India. Frankly speaking, it's a terrible idea. Now, let's come to the obvious question - "why would people buy GM crops?" The answer is quite obvious - there is a market for foods such as seedless brinjals (the Bt Brinjal product) just as there is a market for seedless watermelons. Also, GM crops are like drugs - first - show the public the high of high quality blemish-less, super-sized onions, brinjals, oranges, wheat etc. 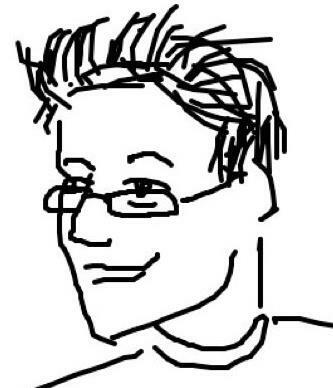 The public will get hooked onto the product and will generate high demand. Farmers will then cave into market forces and will be forced to plant GM crops in order to realize higher margins from their farmland. They will abandon their traditional methods of hybridization and seed selection and start buying seeds off-the-shelf from Monsanto. Monsanto could start off with supplying seeds for free to get farmers onboard (after all, besides the initial R&D cost, they really don't have large recurring costs in seed generation). Farmers would try it out and sell the GM produce on the market (they could even start a black market for GM crops on the sly if they so wished). Once the farmers are hooked onto the seeds, Monsanto - being a monopoly - could revise the rates citing XYZ concerns (as most monopolies are wont to do) and then you end up with an American corporation leaching supra-normal profits from us. And once the floodgates of GM crops open for this country, there is no going back because GM crops will freely intermingle with natural crops (a recent study showed that 80% of wild canola crop in North America had atleast 1 artificial gene after a few years of the introduction of GM Canola into the country). This is a really disturbing scenario. Monsanto will start out small, but will quickly grow into a mammoth agricultural concern having control over large swathes of our food supply chain. See the chart embedded below to see how a single company can take over a country's entire crop acreage. 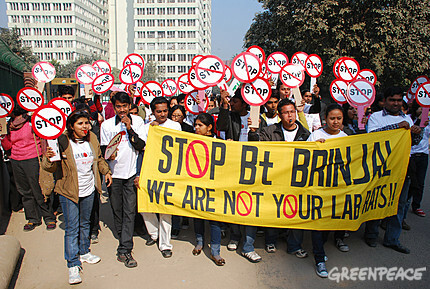 But before getting too far ahead of ourselves, let us analyze the Bt Brinjal issue. Farmers had opposed the Bt Brinjal project because of 2 major reasons - a dependence on a corporation for seeds every year and unproven health risks from GM foods. Indian farmers are smart in a way. But. if you notice, recently, the opposition to Bt Brinjal has quietened down and the images of demonstrating farmers have faded from public memory. Besides, Monsanto has been in India for about 3? years now and they have had plenty of time to figure out ways to win farmers over to their cause. However, despite all their efforts, there is bound to be opposition to the introduction of GM crops in India. So, how do they intend to overcome that? The answer is: "Lobby the government". Now, the Indian government can't be lobbied overtly. So, let's do it the Indian way: bribe a few ministers, pull in a few favours and get an independent authority created by an act of Parliament. (After all, the multitude of scams involving our MPs has clearly demonstrated that more than a few of them are for sale). That independent body will function like the US-FDA and grant approvals for all GM crops intending to be introduced into India. Also, by making it an autonomous non-profit body, they could conceivable claim exemption from the Right to Information Act by virtue of it not being a "public authority" as defined under the act. Then, it would remain a simple matter of getting just a few officials to fall into line and you'll have a green light for all kinds of GM crops being introduced into India. Not only that, to go one step further, India would become a testing ground for all kinds of GM crops that have to be introduced into other countries. Given the extremely lax oversight of our government departments, this is sure to lead to lots of issues for us in the future and when things start to go wrong in the country, we will conveniently have yet another government department to blame for not performing its job properly. The only difference is that this department is being brought into being for one and only one reason - to give Monsanto a crack in the wall to introduce GM foods into our country. 1. Two reporters from Fox news set out to research Monsanto and their claims on GM food safety. Monsanto literally buried their report under a threat of a lawsuit. It's a really explosive video (one that I'd seen some time ago). You need to watch this to get the full context of what's happening in the GM world today. 3. Monsanto has been trying out GM Wheat since before 2004. The plans to introduce it in North America were abandoned in 2004. Source: http://www.gmo-compass.org/eng/grocery_shopping/crops/22.genetically_modified_wheat.html . However, recently, Monsanto has carried out trials of GM wheat in Australia (which is one of the largest exporters of Wheat in the world). Source: http://www.crikey.com.au/2010/09/17/gm-seed-for-australian-wheat-great-initiative-or-costly-experiment/. India is one of the world's largest wheat growing nations and the introduction of GM wheat would give the reigns of our food supply to single corporation's products. 4. It is also important to note that there are virtually no alternative companies in the marketplace to put out contradictory claims and act as whistleblowers. The ones selling the products are also the ones certifying them as safe. That's hardly something that would put your mind at ease. To make things worse, Monsanto has a history of bringing large and costly lawsuits against companies and individuals that challenge the safety of their products - after all - their entire market base depends on the faith that the people have in the food that they are consuming and it would be highly detrimental to their plans if someone conclusively demonstrated that GM foods had an adverse impact on human health. After seeing all this, would you trust this company with your food? Take your time and think it over. Remember, Monsanto is a multi-billion dollar company and has deep pockets to buy out the media through advertising dollars. This negative coverage might change substantially in the future to become positive coverage. So keep your eyes open for it.